(Macon, IL) Macon Speedway and Dynagraphics/Fast Impressions, along with Donnelly Automotive, welcome the Midwest Open Wheel Association Sprint Car Series this Saturday night, July 27 as a part of the MOWA Sprint Week that runs from Wednesday, July 24 through Saturday, July 27. The best winged sprint car drivers in the Midwest will try to tame the Macon bullring as winged sprints return to the legendary track including NASCAR Champion and co-owner of Macon Speedway, Tony Stewart. Stewart will be racing his winged sprint car for the first time at Macon that night. 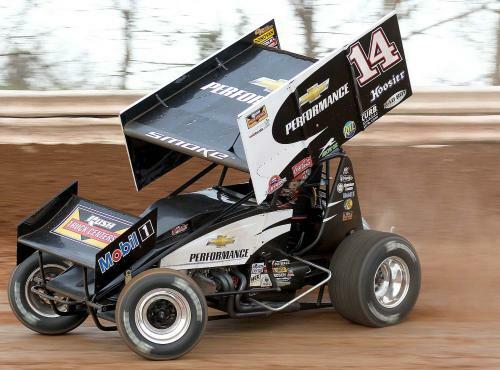 Tony Stewart’s love is racing winged sprint cars. So it’s not hard to understand why he’s making a trip to his track to jump in during MOWA Sprint Week. Any type of open-wheeled race, he’s there. It will be a night of excitement when he goes up against the top Midwest drivers in the series. Not only is the Sprint Week title on the line, but the series overall points battle at the top with A.J. Bruns leading the series as of July 20, with Jerrod Hull and Paul Nienhiser rounding out the top three. The series includes top sprint drivers such as Jim Moughan, Ben Wagoner, Jimmy Hurley, and Robbie Standridge. Any one of them could come out on top during this week’s action in determining who is going to be crowned the inaugural MOWA Series Champion. But the excitement doesn’t end with sprint cars. Macon Speedway has put together a Saturday Night full of racing with the Billingsley Towing Modifieds, Street Stocks, Outlaw Hornets, Stock Hornets and 600cc Mini Sprints. Each division is heating up as the season is going into the last stretch on who will come out as the track champion. Pit Gates open at 3 pm; grandstands at 5 pm; racing begins at 7 pm. General admission tickets for adults are only $18 and children 11 & under are admitted free with a paying adult.